There's two things we know about in Chicago. Being Irish. And drinking green. Yep, our beer is dyed green on St. Patrick's day. And I'll be known to devour a Shamrock shake at least twice during the season. And we dye our soda green too. 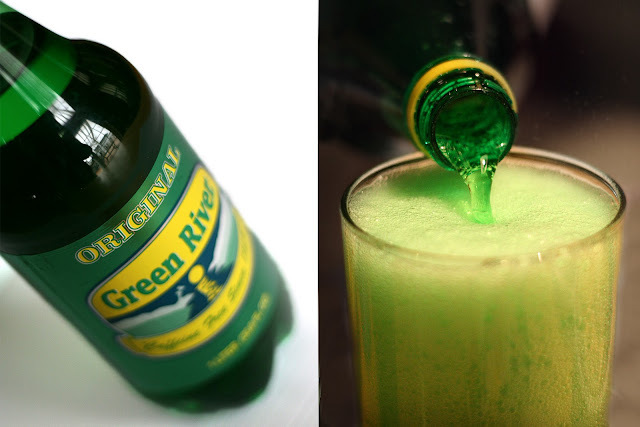 Many a teetotaler in Chicago enjoy a tasty glass of Green River on St Patrick's Day, me included. And yes, the Chicago River is dyed green too (hopefully no one is drinking from it!). Any association between dying the river green and the soda? Nope. I was surprised to find out it's just a quirky coincidence.